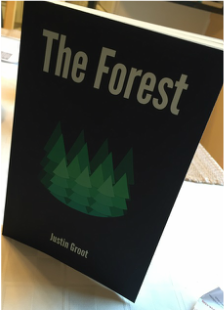 The Forest is a sci-fi adventure novel about an Earth with forests instead of oceans. The novel is available in paperback and eBook formats. On an Earth with titanic forests instead of oceans, highly trained rangers brave the depths to bring back footage of treacherous landscapes and ferocious beasts. It’s a dangerous job, but it has its moments: when a trio of ranger recruits stumble across an artifact, they begin to unravel a mystery with planet-spanning ramifications. The only problem is, if they’re going to uncover the truth, they have to survive the worst the forest can throw at them first.